I remember when I was younger, I loved folding origami. So it always warms my heart whenever I see someone taking the art of origami up a notch. 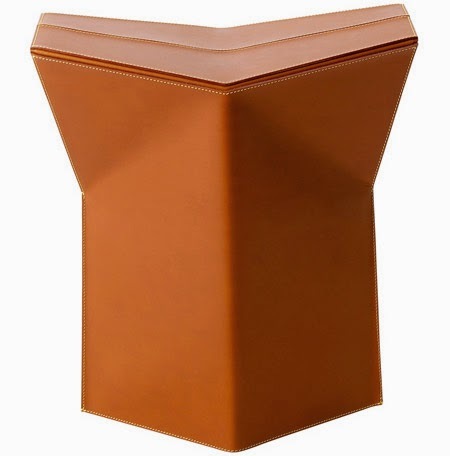 Inspired from origami, Atelier Oi came up with a leather folding stool (exterior leather sandwiching a sheet of aluminum for strength) that can be packed flat. Designer Aurel Aebi said that you can fold it and go to the third dimension in one movement. How brilliant is that? !